Two non-profits made the "nice" and "elegant" evening happen Saturday. 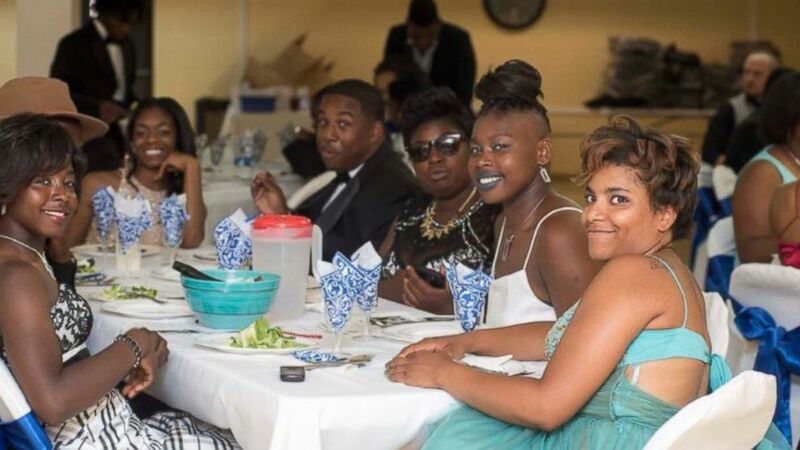 About 40 homeless students in Chicago got something Saturday many of them thought would never come -- a chance to attend prom. Jalisa Thurston was one of those students. "This prom is amazing because I didn't ever go to prom," she told ABC News. Thurston, 23, who is set to return to school later this year, said she never attended her high school prom after being kicked out of school for "some bad choices" and a subsequent pregnancy. 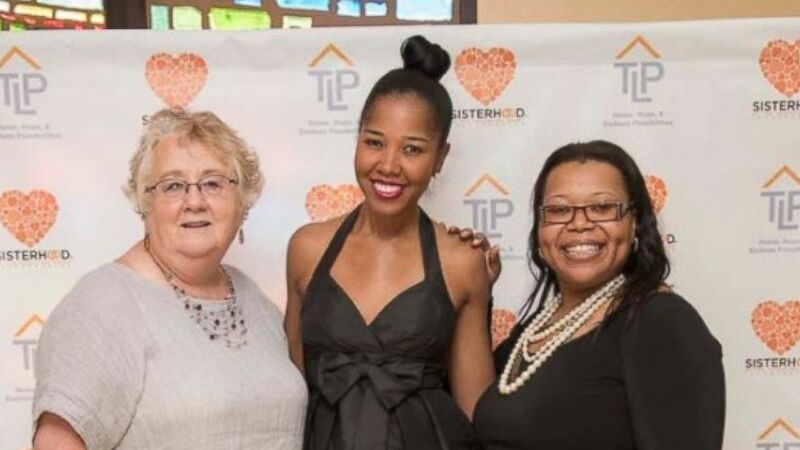 On Saturday, she got a chance to wear a donated off-white two-piece evening gown thanks to a prom, held by two local non-profits Teen Living Programs Chicago, which serves homeless youth ages 14-24, and Sisterhood of the Traveling Heart, which centers on girls and teens around the world. It was the first time the prom was held for the organizations. "I feel like I'm getting married," Thurston said. "I'm glad I met [TLP Chicago] because they’re wonderful." The room where the prom was held on the lower level of Life Center Church of God in Christ in Chicago was decorated in navy blue and white. Along with a candy table, there was also a cake and cupcake stand. A prom queen and king were crowned -- after getting recommendations from the students' social workers -- and some students even performed. (He Shoots Lyfe Photography) About 40 homeless students in Chicago had their first-ever prom Saturday, June 25 at Life Center Church of God in Christ. Michael Brown was one of the evening's performers. He rapped and sang. "The day is really nice! The energy is really nice in the room. The ambiance is beautiful," he told ABC News during the event. "It's a night to remember." Several local and national organizations provided donations, allowing the men to be outfitted with tuxedos and the women received complimentary hair styling and make-up application. "They all looked so nice," Kamelah Muhammad, one of the organizers who came up with the idea, told ABC News. (He Shoots Lyfe Photography) Prom organizers Jeri Linas and Ericka Hill of Teen Living Programs Chicago flank Kamelah Muhammad of Sisterhood of the Traveling Heart. "I’m from Chicago so I just wanted to be able to help my hometown," she said. "The youth that are at TLP, they work, they’re in school, and they're doing a lot to try and make due with their situation." "I thought it would be a great idea to have a prom because every high school student deserves a prom," Muhammad, 29, added. "For those who may not have had an opportunity -- like Jalisa -- or for those who needed to be recognized for their resilience. We wanted to create a day of celebration and a memorable evening for them." And the non-profits work paid off. The students seemed to have a good time. "It’s real pretty. It’s beautiful," Thurston said Saturday. "I'm just enjoying myself and this great experience and [I'm] just smiling and laughing and living."